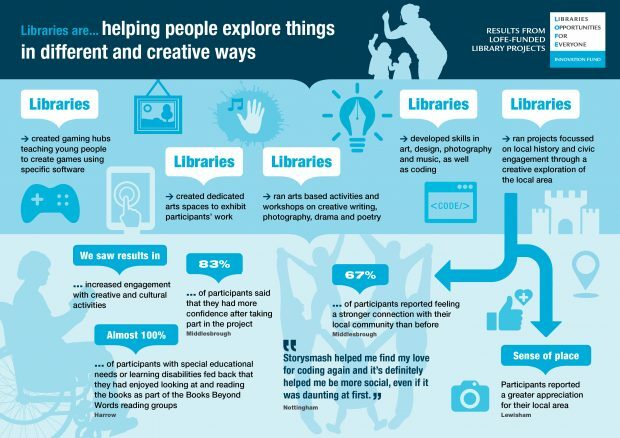 As outlined in this post, projects funded by the Libraries: Opportunities for Everyone (LOFE) innovation fund ran during 2017 to 2018 and were evaluated by Traverse. One of the benefits stated by participants was that they valued the opportunities to get together during the project, and share ideas and experience as they went along. With that in mind, we thought it a good idea to bring as many teams as possible together at the end of the funding period, to hear the overall highlights from the evaluation, and talk about the legacy of their work. The programme also included a welcome from DCMS’s Arts, Heritage and Tourism director Emma Squires, plus speeches from the Libraries minister Michael Ellis, and Arts Council England’s deputy chief executive Simon Mellor. The minister talked positively about the fund saying: "I hope everyone here today feels that the LOFE projects have created a legacy which can be built on and from which library services can learn from, helping libraries to unlock this potential in their localities." The team from Traverse presented the highlights from their report. The full report, plus an executive summary, has now been published on GOV.UK. They have also created a projects booklet, which sets out an overview of each project, and provides contact information. what is the biggest thing you learnt? how will you build this into your work for the future? And how will you build this into your work? The event closed with a speech from Simon Mellor, the deputy chief executive of arts and culture at ACE. He emphasised how libraries were becoming an increasingly important part of ACE’s portfolio. 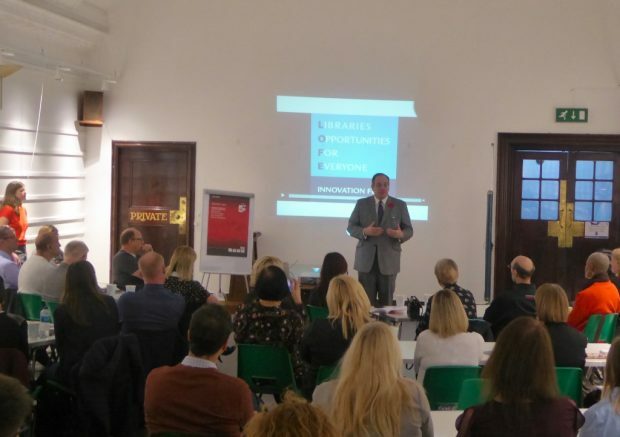 He mentioned the new National Portfolio Organisations as early examples of this, and encouraged people involved in libraries to talk with their regional representatives to explore how ACE can better use their project grants and support library applications. As mentioned, we hope to publish updates from the 3 projects who presented at the event, and any other LOFE projects as they continue their activity. Search #LOFEfund on our blog to find examples, and subscribe to be sent new ones as they are published. Also, look out for the hashtag on social media as we share the infographics - all of which are available to download from flickr.